There is a four page article on Lieutenant Albert William Gordon (1888-1917) in the latest New Zealand Memories Magazine (Issue 130 Feb/Mar 2018). Written by Roger Strong, the article covers the story of Albert's life from birth, until he Died of Wounds 12 August 1917. Albert's parents were Frederick and Margaret Gordon, his father was a butcher. The family lived in Pollen Street, the butcher shop in the 1900s was located at the Grahamstown end of town, just south of Wood's Grocery store. Gordon attended Tararu and Kauaeranga Boys' School at Thames. Albert's cenotaph entry at the Auckland War Memorial Museum backgrounds information on his time in the Royal Flying Corps. 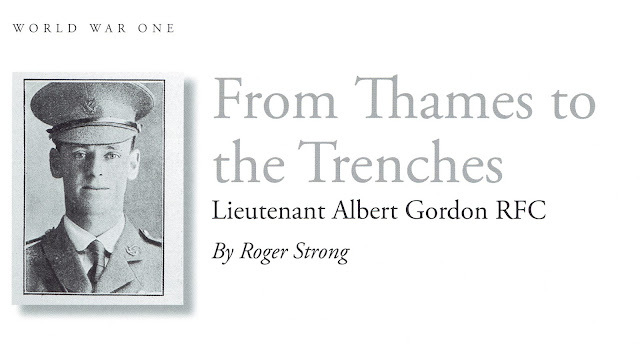 Lay a poppy at the site, and remember Albert Gordon of Thames. It was reported that the last time the water levels were so high was in 1938, when the Hauraki Plains were flooded. What happened back in 1938, and was it really as bad as the recent event of 5th January 2018. 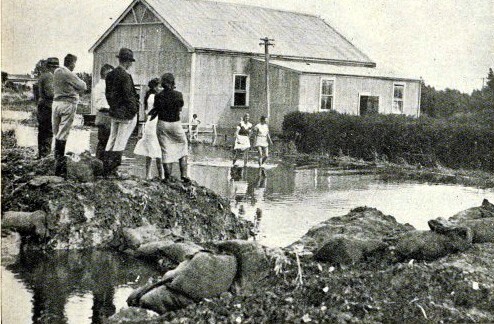 1938 Flood Event on the Hauraki Plains. 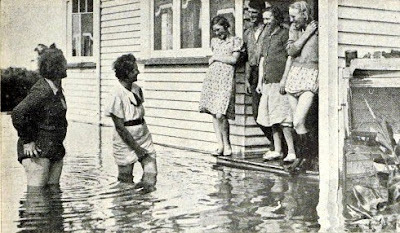 On the evening 4th May 1938, residents became concerned about the water that was gathering on the Hauraki Plains. Mr C Walsh warned his neighbour at 10pm that the water was becoming a problem. Mr McQuoid and his family took heed but almost immediately the water started to flow into his house, which soon was over three feet deep. Objects floated around the room and the family could not escape. Mr and Mrs McQuoid placed their four small children onto a bed and attempted to hold it all night until flood waters started to recede in the early morning hours. With much relief the family were rescued at daylight and taken to the Pipiroa Hall. Press 7 May 1938. Flood waters around Mr C Walsh's home at Pipiroa. The family (right) spent the night in the ceiling. Boats provided the only way to move about the flooded Hauraki Plains. The New Zealand Herald 6 May 1938, stated it was the worst flood in the history of the Hauraki Plains. There had been heavy rain and northerly winds all day, when the high tide occurred around 10pm, the stop-banks broke at Pipiroa and Hopai. 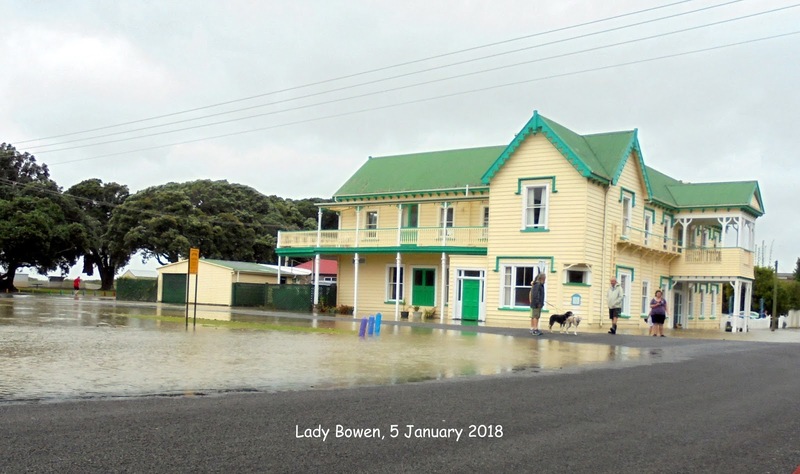 Residents such as Mr Keane of Pipiroa also remarked on the suddenness of the flood event and reported levels of four feet around his property, which resulted in loss of farm animals. A beekeeper lost all his hives, the list of losses was large. The Pipiroa Public Hall, where many people sought refuge during the flood. The stopbank in the foreground had broken. The Pipiroa Store, which had three feet of water during the height of the flood. Flooding also occurred at Turua and Kopuarahi. Only the main road at Kopuarahi was above the water, and stock took shelter on this higher ground. Everyone stressed the flood was far worse than the 1936 event, the last great flood. New Zealand Herald 6 May 1938. 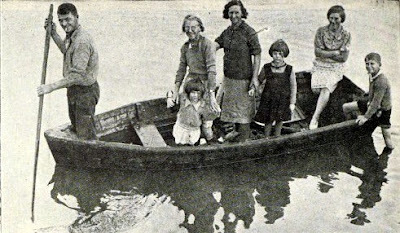 Flooding at Thames May 1938. Floods at the Thames, in some ways the common denominator in the history of the town and area. Many Thamesites have fought for better flood management since the goldfield opened, while others have chosen to seek reassurance that it is just 'normal' for the town. It seems a long time since the WW100 commemorations started back in 2014! Yes, the Great War was indeed a very long war. In January 1918, the town lost two more Thamesites. Sergeant Ernest Oliver Stayte 24/291, was Killed in Action 11 January 1918, in the Field, Belgium. He was with the 2nd Batt 3rd NZRB A Coy. 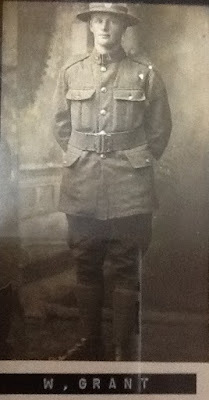 Ernest was one of four brothers who served in World War One. 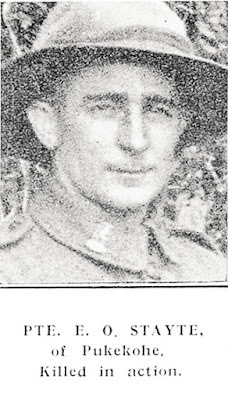 Corporal William Grant 12/3030, Died of Wounds 23 January 1918, in the Field, France or Belgium. He was with the 1st Batt CIR 1st Coy. William's parents were from Scotland, and he was born in Australia. 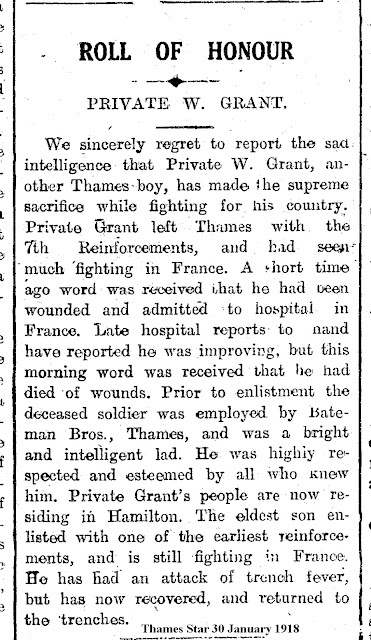 The Grant family lived in Thames when William enlisted in 1915. Their house was in Cochrane Street, and William worked for well known butcher Mr A J Bateman (corner of Sealey and Rolleston Streets). 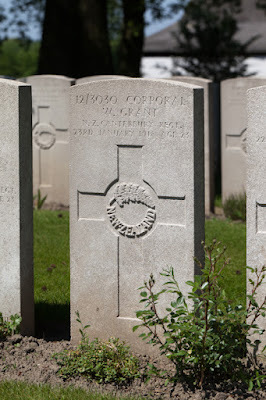 Corporal W Grant's Headstone in the Lijssenthoek Military Cemetery, Belgium. While Thamesites are well used to heavy rain and floods, this event was somewhat different given the speed it happened, and with virtually no rain. The sea prior to the high tide was literally roaring south down the firth, the waves like grand breakers at the best surf beach. Still, one could not be prepared for what happened as the high tide approached. There were breaches of the sea wall all along the Thames Foreshore, and the stormwater drains spewed out tidal water. 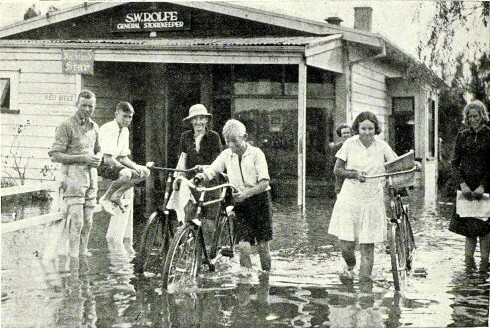 Along Queen Street, Goldfield Mall, to Moanataiari and north, the waters covered the verges and roads. Within minutes of taking the photo below of the Lady Bowen(Albert and Brown Street intersect), the roads were flooded and closed. 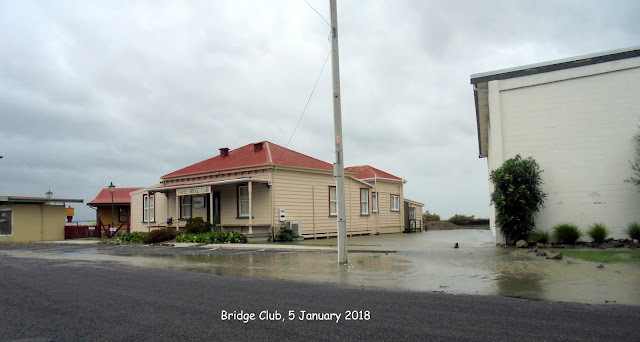 The Waiotahi Creek along Burke Street was a raging torrent as the huge waves swept along towards the bridge to the refuse station. The wind was at times horrendous. At the south end of town the old Shortland Wharf took a beating, while the carpark and boat marina were inundated. 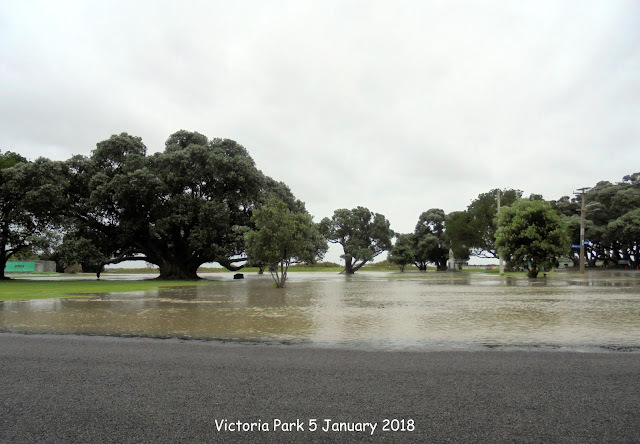 Victoria Park was soon inundated with water and the waves crashed over further south at the Bridge Club and Miniature Railway. The list goes on, but what happened along the Thames Coast is beyond belief. The roads were taken over by the sea, giant waves literally lifted and broke the road surface. The damage will take months to repair, and affect Thames Coasters' lives, day in and day out. It is one hundred and fifty years since the goldfield opened, and once again the settlers of the Thames are reminded of the fury of the sea. Stuff: Thames Coast Road and NZ Herald Thames Coast Road. TCDC: Mayor Sandra Goudie video update.